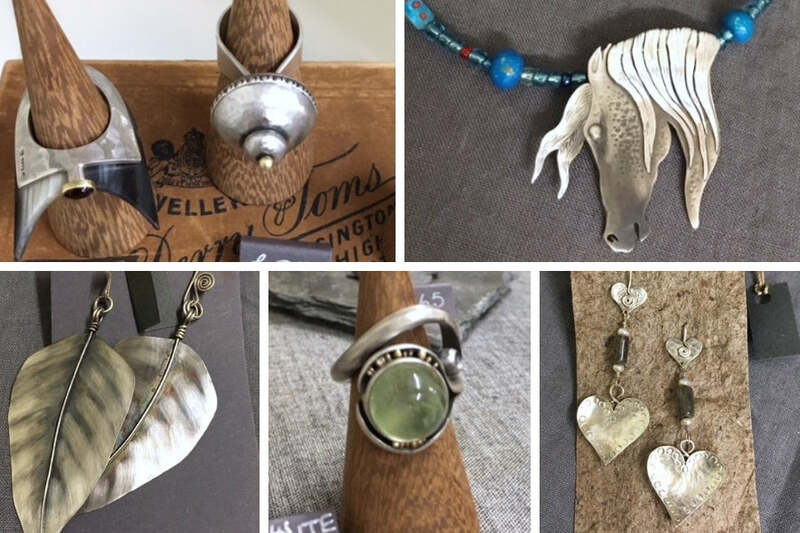 Have you ever fancied having a look around our cute Penzance workshop, chatting to our lovely Poppy whilst grabbing yourself some gorgeous bargains? Well, we have some great news for you! Our studio will open its doors again to you lovely people as we're having a biggggg Christmas sale! And not only that, we have some crafty friends joining us too! are the makers of Cornwall's best loved luxury vegan scented candles. Made using premium vegetable wax blend. Hand poured on a farm in the heart of the beautiful Luxulyan Valley, Cornwall. "Since completing a degree in ceramic design in 1983 I have worked full time as a studio potter in a number of countries, carried out some teaching, and worked on a number of archaeological excavations with a ceramic component. My decoration is largely inspired by basic design elements that can be found in all ancient civilizations- spots, spirals, circles, linear patterns and stripes." Julia's aspiration as an artist is to capture the beauty of nature in the distinctive form of glass. 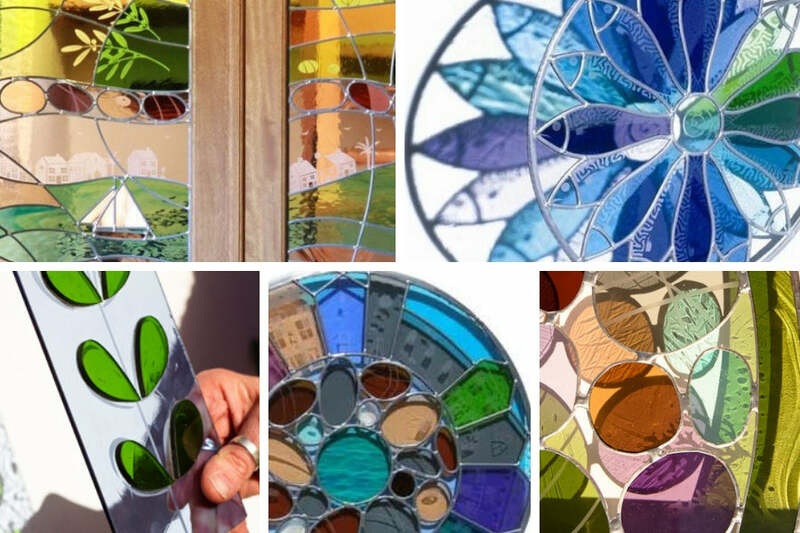 These bright, contemporary glass artworks are her jubilant response to the inspiring forms and colours which surround her here in Cornwall. 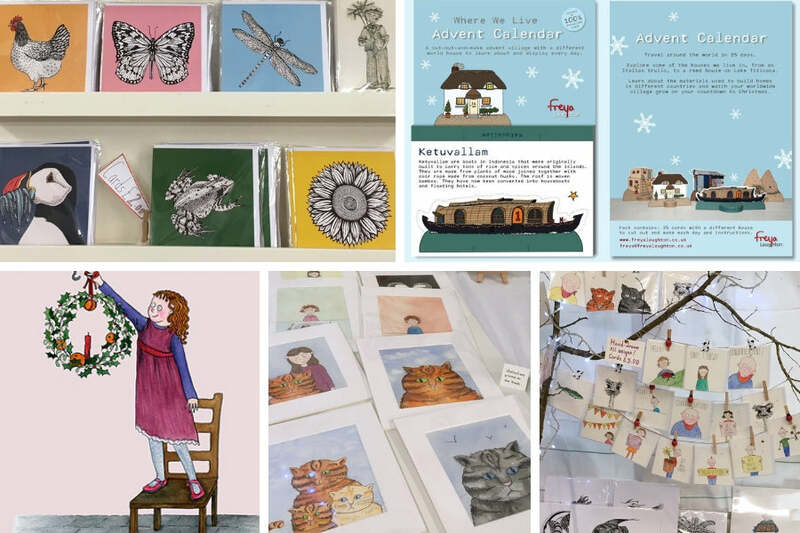 Freya Laughton is an artist living and working in West Cornwall. She has been drawing, painting and making things (textiles, other craft items) for as long as she can remember. A Cornish jeweller works directly into silver and 18ct. yellow gold which she often combines with labradorite, moonstone, opal, pearl, tourmaline or diamond. Art Nouveau and Ancient Egypt have been her lasting influences. 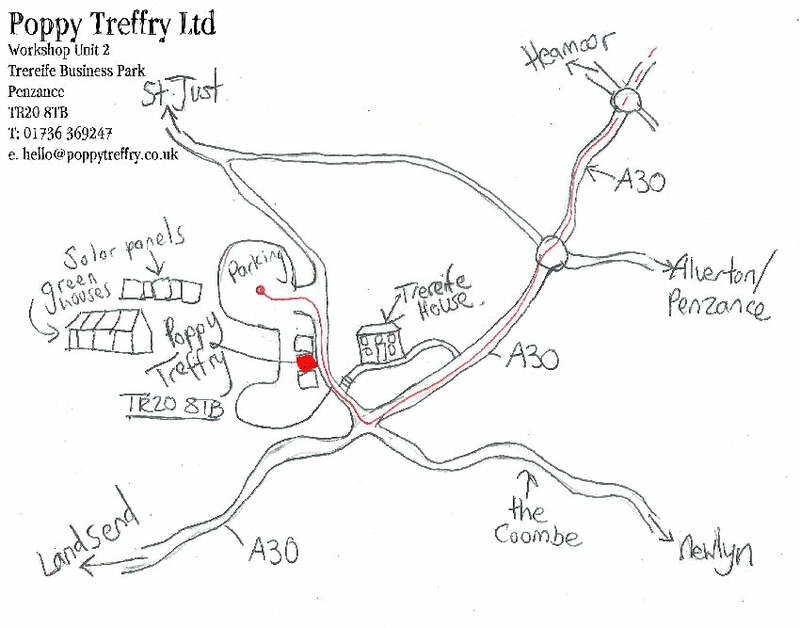 Head past Penzance on the A30, go over several roundabouts, you'll pass the turning to Trereife House (it has a brown sign) on your right and you need to take the very next turning on the right at the crossroads where the road is coloured red (the left hand turn takes you into Newlyn). Go up the steep hill until you see a tall brown cob wall on your right, the entrance to the business park in on the left opposite this wall. Parking is to the right as you enter. Unit 2 is the 2nd unit on the left.